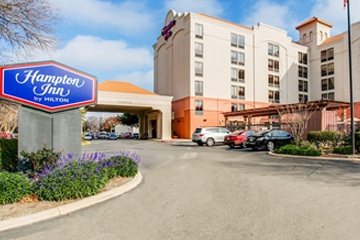 Parking.com has convenient parking for the Hampton Inn San Antonio - Downtown hotel. Refer to the map for more information on parking, such as rates, entrances, and hours of operation. Hampton Inn San Antonio - Downtown (River Walk) hotel is a short walk from the River Walk, Convention Center, and the Alamo. Also minutes away is the the San Antonio International Airport.